Epilobium parviflorum fruit and flower. By Andrew P. Nelson SUNY Oswego. Copyright © 2018 Andrew Nelson. New York Flora Atlas – newyork.plantatlas.usf.edu. (Accessed 11/2014). 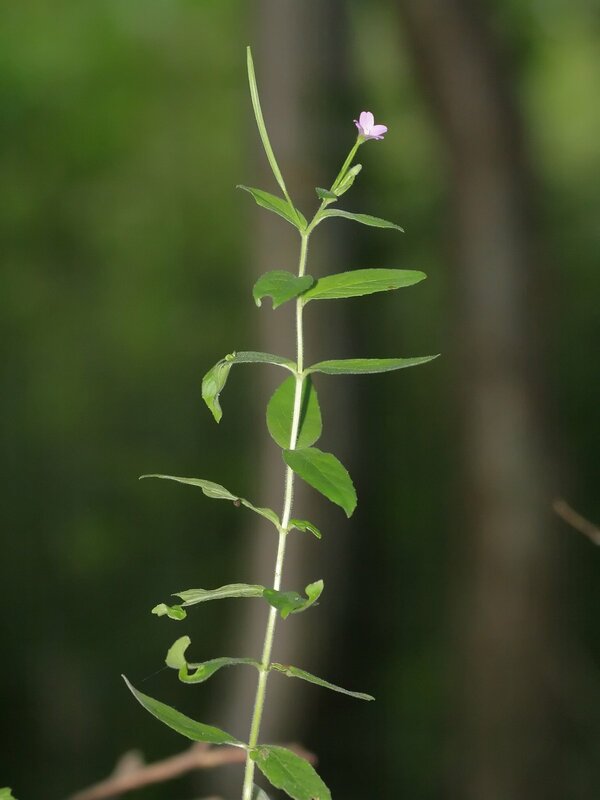 Epilobium parviflorum is a perennial herb to 80 cm, erect, densely hairy, branched. Leaves opposite, alternate above, 2-8 cm long, hairy on both sides, narrow, sessile but not clasping stem, margin toothed. Flowers red-purple ca. 1 cm wide, pet 4, deeply notched, 0.4-0.9 cm long. Fruit dry, a linear capsule 5-8 cm long. Habitat: Found in both wet, open soil and in dry soil.